A Developmental Look at SINGING: It’s Never Too Late or Too Early! This session will look developmentally at the voice. Beginning with the very young voice, an investigation of the literature is synthesized and practical examples and solutions to vocal issues are suggested. The presentation will continue with the unchanged voice and changing voice. Further considerations will be given to the undergraduate college voice student with suggestions for development and assessment, both long and short term. A look at the adult beginner and the uniqueness of this student is next, and finally, the presentation will conclude with the mature voice and issues that arise after 50. 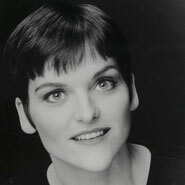 Soprano Jeanne Goffi-Fynn remains active both as a performer and teacher in the New York City area. Goffi-Fynn received her doctorate from Columbia University, Teachers College where she is a lecturer and Director of the Doctoral Cohort Program in the Program of Music and Music Education. She continues working in the area of vocology, specifically in the retraining of singers, after completing internships at the Grabscheid Voice Center and St. Luke’s-Roosevelt Hospital. She has presented workshops and pedagogical presentations with NATS, The Voice Foundation, New York Singing Teachers Association, College Music Society, ACDA, NYSSMA and International Society for Music Education. She is currently a member of the American Academy of Teachers of Singing, serves as a participant at National Opera Association roundtables, and is a NATS chapter board member. Her recent publication is entitled “Collaboration and Conquest: MTD” published in Journal of Voice, 2012. Soprano and pedagogue Lori McCann holds a D.M.A. and Artist Diploma from the University of Cincinnati College-Conservatory of Music. Currently assistant professor of voice at the John J. Cali School of Music, Montclair State University (NJ). Previous positions include NYU Steinhardt, Columbia University, Teacher’s College, and Southern Illinois University, Edwardsville. She has performed extensively in the United States and abroad. Roles include: Pamina, Countess, Fiordiligi, Second Lady, Mimi, Governess, Fulvia (Ezio, Händel), Fox, Giulia (La scala di seta), Iphigénie (Tauride), Mary Warren (Crucible). Orchestral repertoire includes Brahms, Mozart, Händel, Bach, Beethoven, Debussy,Mahler, Canteloube, Monteverdi, Bernstein. McCann has taught voice for 25 years. In addition to MSU she is on faculty at the American Institute of Musical Studies (AIMS) in Austria. 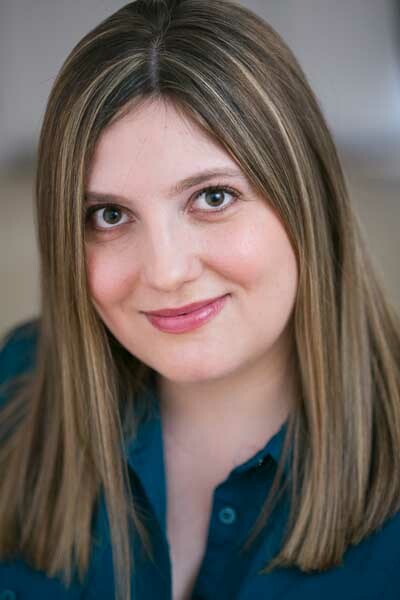 She is serving her second term as president of NATS-NYC and is associate editor for New York Singing Teacher’s Association’s Newsletter, VOICEPrints. As both a performer and researcher in the science of singing and voice training, soprano Felicity Graham brings a multi-faceted approach to her teaching. Drawing from both the arts and sciences, she combines musicality and artistry with practical techniques taken from all aspects of voice science. Graham is an active researcher in the areas of vocal science and pedagogy. Together, with Jeanne Goffi-Fynn, she has presented at the Voice Foundation's Annual Symposium on the subject of the treatment of disorders in the singing voice. Since her New York recital debut, Felicity has been a frequent performer of concert music, in addition to her work in opera. A champion of American music, she has given the world premieres of two new pieces written for her by noted New York composer Steve Cohen, in addition to premiering many other pieces from a range of composers. She holds the Master in Music and Music Education (Vocal Pedagogy) degree from Teachers College, Columbia University, and a Bachelor of Science in Vocal Performance from Tennessee State University. Along with her own private studio work, she is on the faculty at the Harrison School of Music, Sabella-Mills Voice Studios and TruVoice Studios NYC. Mezzo-soprano Karie Brown was awarded the Ed.M. in Music and Music Education from Teacher’s College, Columbia University and the M.M. in Opera from Philadelphia’s prestigious Curtis Institute of Music. 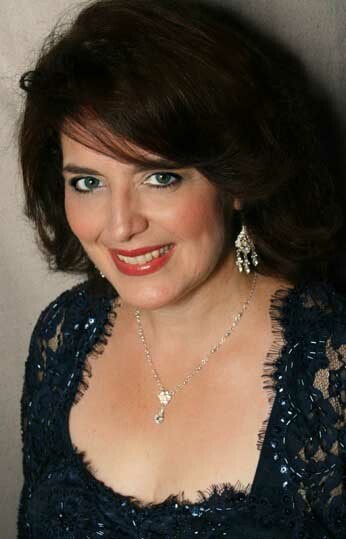 She has sung leading roles with New Orleans Opera, Glimmerglass Opera, Opera Carolina, Virginia Opera, Opera Memphis, and the Kurt Weill Fest in Dessau, Germany and has sung concerts with orchestras and recital series throughout the U.S. For the last 15 years, Brown has taught elementary and early childhood music in public, private and charter school settings; she is currently the music teacher at Harlem Village Academy Elementary School and the director of children’s music at Marble Collegiate Church in Manhattan, where she directs the toddler music program, the Cherub Choir for kindergartners and preschoolers, and the World Music Drumming Ensemble for junior and senior high school students. Brown has presented her research into the development of children’s singing voices at conferences of The International Society for Music Education (ISME), the Voice Foundation, and to collegiate music educators at the C.W. Post campus of Long Island University.